The Hofstra Roller Hockey Club traveled to New Cumberland, Pennsylvania on Saturday, October 31st as the Division 1 team played games against Temple University, Slippery Rock University, and West Chester University. The Pride fell to Temple in their first game, despite a strong performance in net from Brian Sweeney, who notched 25 saves. Jordan Domnitch scored the lone goal for Hofstra. Against Slippery Rock, the Pride raced out to a 3-1 lead, but eventually dropped an 8-3 decision. Connor Hurwitz, Jordan Domnitch, and Nigel Grove all scored for the Pride in the loss. In the final game of the day, the Pride managed their first win of the season defeating West Chester 5-4. Nick Lewis led the way with 2 goals and 2 assists, and Daniel Correia chipped in with a goal and 2 assists of his own. Goalie Ryan Smith made 29 saves in net, many in spectacular fashion. The Hofstra Ice Hockey Club took on Fordham University on Friday, October 30th at Twin Rinks at Eisenhower Park in East Meadow, New York. Although the Pride fell to the powerful Rams 10-3, the loss was something to build on, as they managed to score more goals than any team has all season against the perennial championship contenders. Hofstra's Nick Lewis, assisted by Guiseppe Chiaravalle, opened the scoring just 23 seconds into the first period to give the Pride a surprising 1-0 lead. However the depth of Fordham was too much for Hofstra to handle, as the Rams peppered goalie Alex Feinstein with 62 shots on goal, 10 of which found the back of the net. Chiaravalle added a goal of his own later in the third period, as did Jamie Esperto, who capped the scoring for the Pride. Next week Hofstra travels to Yale’s Ingalls Arena in New Haven, Connecticut on Saturday, November 7. 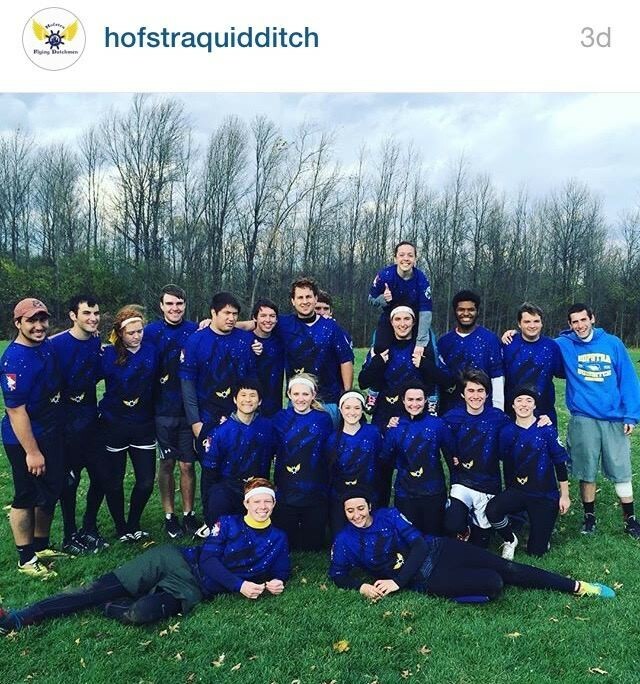 The Hofstra Quidditch Club traveled to Rochester, New York, on Saturday October 31st for the Northeast Regional Championship. 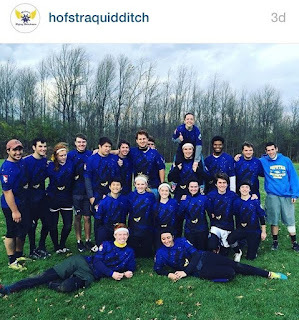 The Flying Dutchmen started the tournament with wins over Harvard University and the University of Rochester, but unfortunately fell one game shy of qualifying for US Quidditch Cup IX in April 2016, following an intense match-up with Boston rivals Emerson College. The team did however nab the first alternate spot, meaning that if another team drops their bid, the Flying Dutchmen will get that spot. The Hofstra Table Tennis Club took a trip to the Fashion Institute of Technology in Manhattan on Sunday, November 1st for their first ever competitive tournament, which included teams from CCNY, Stony Brook University, Yeshiva University, and Columbia University. Captained by Daniel Zhu, Hofstra placed fourth overall.